We bought it because Aunt Debbie cautioned, “Buy a house you could live in forever. Look at me.” It was large for two, but we’ve grown to fit inside its sheltering walls. These baby boys, now big and burrowed deep in my heart, came home here. They’ve gone to play with Granddaddy today, and, strangely, I’m all alone in a house full of memories, a home that won’t be mine much longer. The comforting strum of folk guitar on the radio brings tears to my eyes. This house is folk music to me. We’ve been through hard times and joyful times here, but the combined notes of it all thrum with the fleeting beauty of life. The Christmas decorations are humming in the attic. The ceiling repair in Little One’s ceiling giggles about the time Hubby’s foot slipped through as he was packing away a box. The siesta-key blue and white stripes in the room across the hall whistle a lullaby over our sleeping nine-year-old, whose daddy took a week off work to paint that striped nursery when we could feel baby kicks through my maternity shirt. 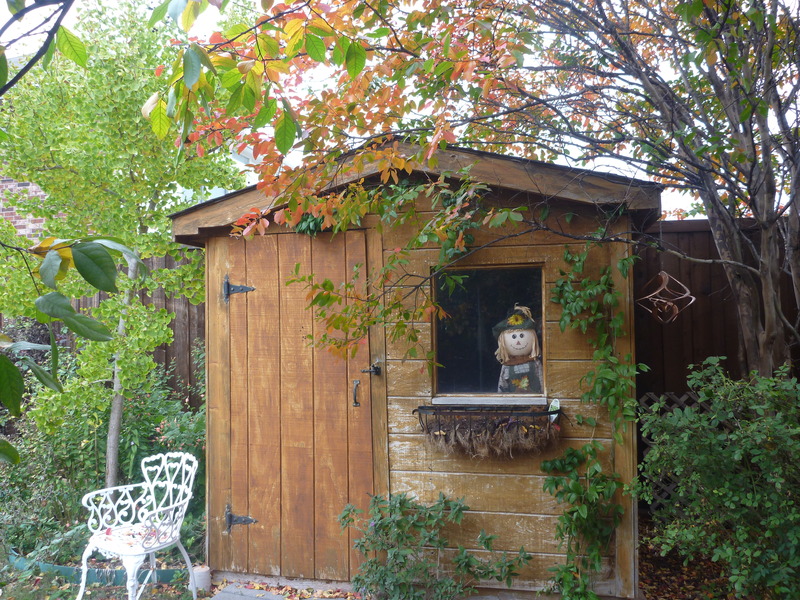 The pancake-colored garden shed whines about my father-in-law giving it a “haircut” after building it too tall for the neighborhood code. The yard sounds soft chimes about how long we’ve lived here . . . long enough for the toddler trees Uncle Dean helped us to plant in the pouring rain to provide a canopy of shelter. The walls here hold all of our loving utterances as well as some words I wish I could take back. These mirrors have seen us scary sick, but usually blessedly well. These floors have been tread on lightly, often danced on, but they have also borne the weight of despair. This was the first house of our marriage. We moved in when we were young. The flowerbed gave Hubby poison ivy, oozing red in the picture of us holding hands over our new address. We didn’t know, then, that it would be our home for 13 years. Now, we are nearing middle age. This house holds the stories of most of our twenties and thirties. If it could tell them, it would play like David Rawlings and sing like Gillian Welch and Emmylou Harris: gentle and warm, the sweetness rising above the pain. Thank you, God, for the nest you’ve used to protect us and our babies. Let it be a haven for the young couple who is buying it. May it start this beautiful love song over again. This entry was posted in Children's Book Moments and tagged folk music, home, memories, moving. Bookmark the permalink. « Would You Wear Goodnight Moon? This post made me cry. Your beautiful first home will stay in your heart forever. You’ll always carry it’s memories with you as you move into a new stage in your lives. I am so glad you are leaving it in good hands. Since I have moved here, my house is a place in my heart. Bring the songs with you, carry that songs and bring home wherever you go. See the songs in everything. The magic will be there. Thank you for sharing your wisdom, Ana. You are so far from the home of your youth, but whenever I’m around you, I feel cozy. You have developed the art of bringing home wherever you go!